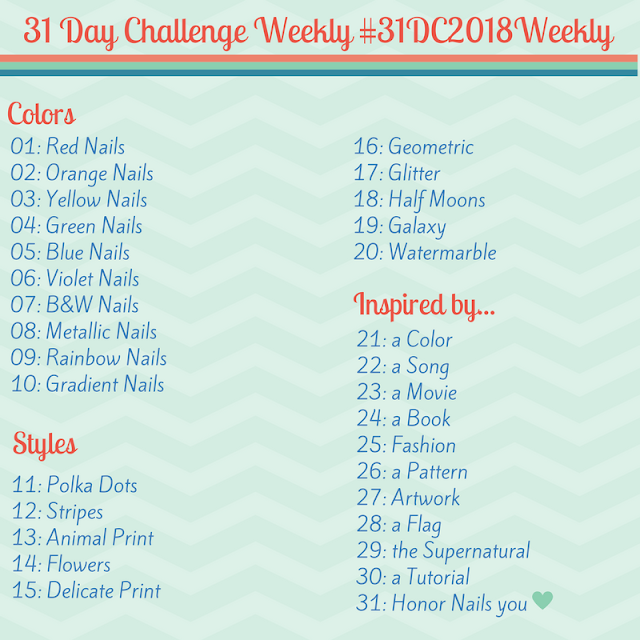 Road to Polish Con - Week 5 (Different Dimension, Cupcake Polish, Glisten & Glow) - Polish Etc. 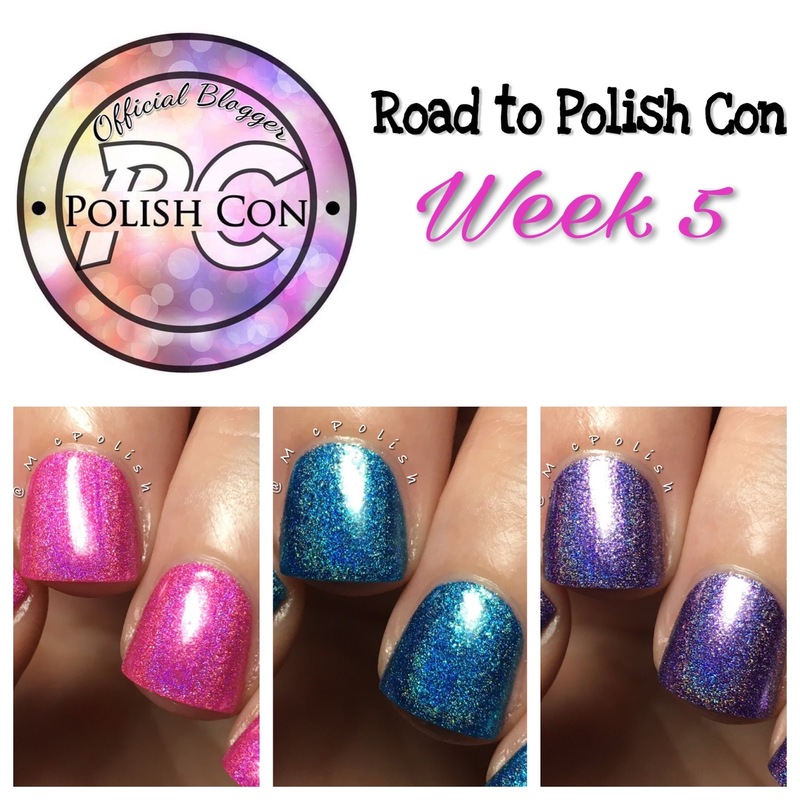 Have you been enjoying the weekly Road to Polish Con series? I hope so. For Week 5, we have three more delicious polishes from some Polish Con veterans. Not only do Different Dimension, Cupcake Polish and Glisten & Glow make amazing holos but the three makers are such great friends in real life. It is always great to see them hanging out together and having a good old time at The Polish Convention. Week 5 exclusives will begin selling on Sunday, so let's go ahead and take a look at the rainbows! 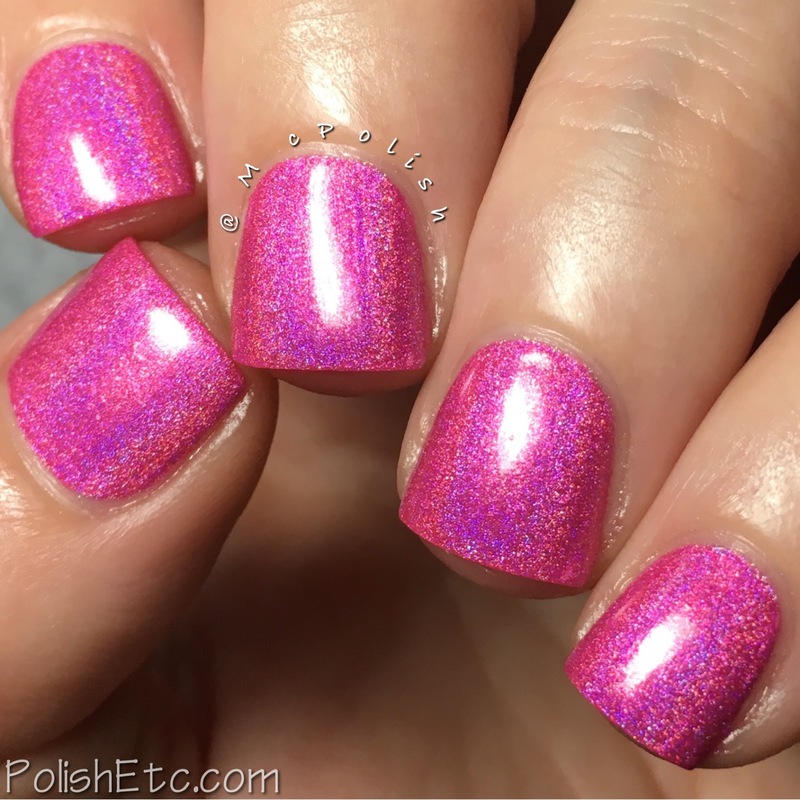 Odyssey II by Different Dimension - A bright almost neon pink linear holographic with a subtle warm shimmer. Princess nails right here! This is a fun holo for summer and would look amazing for a pedicure. The formula is nice and smooth. I am showing you two coats with glossy top coat here but you could get away with just one coat if you were careful with application. Mystic Blue by Cupcake Polish - A blue toned teal linear holographic with lots of green/blue microflakies. If the last polish made you a princess, this one makes you a mermaid! A very nice holo here. The formula has a little bit more of a jelly consistency but was still opaque in two coats. 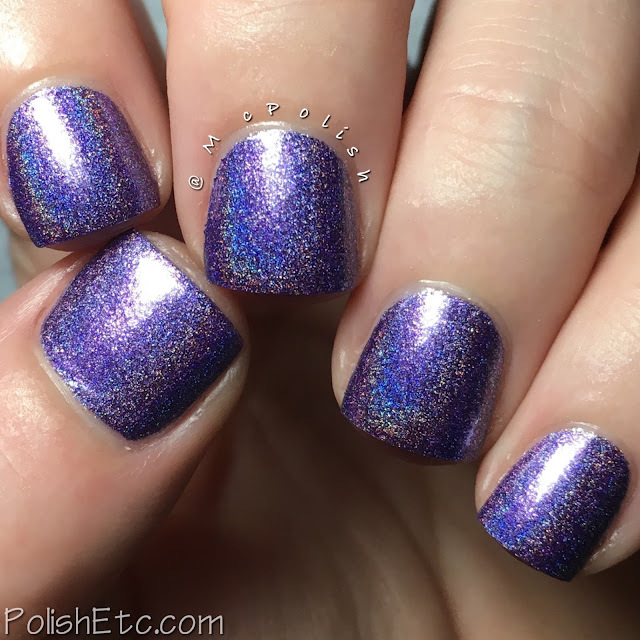 Spirit of Chicago by Glisten & Glow - A cool toned medium purple linear holo with blue flash. I really enjoy this tone of purple. I don't tend to see this shade in polishes very often. The formula was fantastic and practically a one coater. I am showing you two coats with top coat but you can totally get away with one coat. 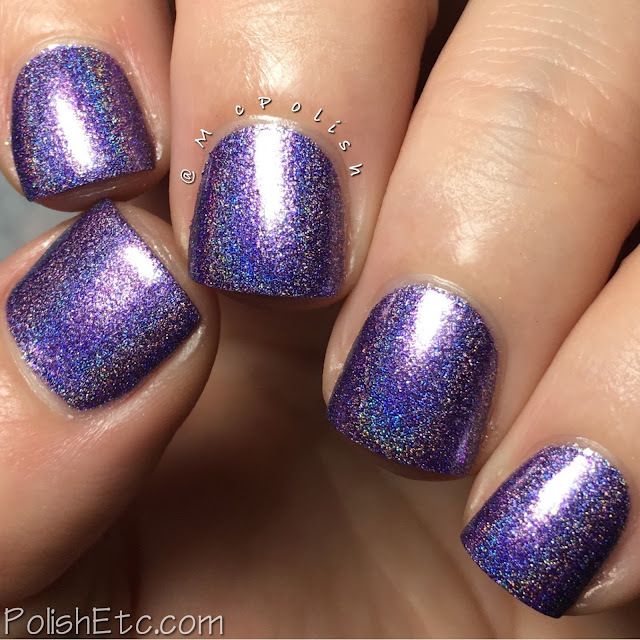 If you love holos, you are probably going to need these. Just sayin'. These three shades will be available for purchase from The Polish Convention site 7/30-8/5. There are a few options for shipping available. Either all at once at the end or individually with each order All RTPC polishes are $10 each and there will be shiny new exclusives available each week. Check back here each Thursday for a look at the polishes for the upcoming week! The pink is simply amazing!! !